Many people have problems with Mushin’s Tower.One solution is that you can buy BNS gold to improve your weapon,if not,you can read the article. Mushin’s Pain To fight Mushin’s Pain, the skills you should pay attention to are Divine Veil and Phantom Grip. Use Divine Veil at about 40 seconds and 1 minute 40 seconds after the fight begins. Under Divine Veil, Mushin’s Pain will only take 10% of the damage. If Divine Veil doesn’t disappear within a certain time, AOE will be used to attack Blazing Palm. It is very important to get Divine Veil disappear as soon as possible. Divine Veil can withstand lots of damage. Based on the damage absorbed by Divine Veil, its color will have different effects. Phantom Grip is the most frequently used skills by Mushin’s Pain. Phantom Push is used after Phantom Grip and can cause repelling effect which can disrupts the rhythm of the player’s attack despite low damage. Players can use resistance skills to avoid before Mushin’s Pain reading lines before using Phantom Grip.And also,you can buy Blade & Soul gold for your weapon.you will find it easier to pass Mushin’s Tower. Mushin’s Rage Searing Palm’s first attack is a Mushin palm combo. There is a debuff which can be defended but sill cause freeze. Mushin’s Rage overall attack mode is Mushin palm →lateral movement. Choose one between counterattack, Mushin’s wind, wind fist and kicking in the air and use it. Please note that counterattack and Mushin’s wind can cause dizziness effect. Mushin’s Rage will kick the player under dizziness in the air and use Flurry. This combo will cause over 20,000 damage towards the player. Common players will be swiped out. When Mushin’s Rage is under counter attack posture, the player should stop attacking. To resist Mushin’s wind, players can use resistance skills to avoid. Mushin’s wind will be used immediately after the speech. When Mushin’s Rage uses lateral movement, players should stop action to prepare for the next skill to use. Mushin’s Darkness With Mushin’s Darkness, there is a lot of pressure, so output must be as much as possible. The lack of offensive power will result in greater pressure on the time limit. When it comes to the question on how to use about 6 minutes attack buff, the power of darkness become the key. The power of darkness can be obtained through Mushin’s Darkness. 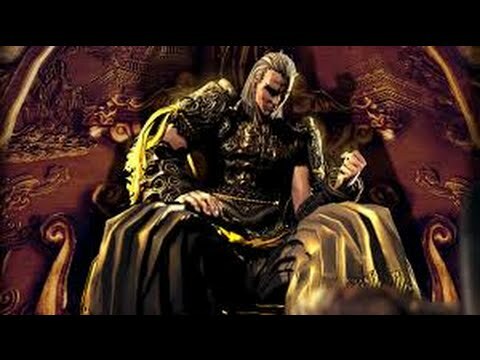 Mushin’s Darkness will read the line “Embrace your fury and unleash it upon the world” every time his health points reduce by 20,000, and it is the time to get the power of darkness. Then, the Mushin’s Darkness will become controllable and unmovable. It is the time when the player should deliver as much output as possible. In order to increase the attack power, the power of darkness is necessary buff to kill the BUFF. However, with the power of darkness, there will be 63 points with each floor and each second. To get buff to continue attack and to control health points become the core of the outcome of the battle. When Mushin’s Darkness backs to the center, there will be a magic circle on the ground within which the player is able to get the power of darkness. Because of stack, the attack power and damage will be enhanced. Amethyst is necessary to restore health points. The player will use heal potion to resist Kaoliang Ju. For more Mushin’s Tower guides, please visit http://www.bladesoulgold.net.where you can also find cheap Blade and Soul gold, items and power leveling service.